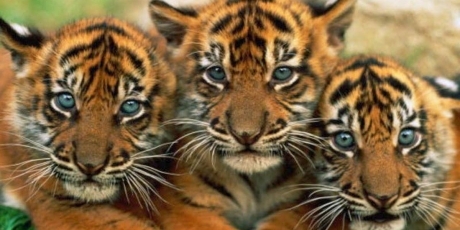 Avaaz - Ditch Coal -- Save the Last Tigers! As concerned global citizens, we call on you to stop all financing and services that may facilitate the Rampal coal plant project in Bangladesh. UNESCO and independent experts say it will devastate the Sundarbans World Heritage forest, home to the endangered Royal Bengal Tigers and many other species. The threat to this forest is a threat to one of our planet's treasures of biodiversity. We appeal to you to honour your commitments to sustainability and environmental protection. Banks are dishing out millions to build a planet-frying coal plant, right next door to the mega forest that’s home to some of the last Bengal Tigers. It’s the worst example of our disconnection from nature but we can stop it. After a UN report slammed the project in Bangladesh, we went straight to the international banks. Now they’re scrambling to figure out what to. If we turn up the pressure on JPMorgan, Crédit Agricole and others, we can make this so toxic that they’ll quit the project for good. Both JPMorgan and Crédit Agricole have ditched similar projects in the past. Let’s build a a huge global outcry to save the tigers and convince their CEOs to pull out. Sign now to save the last tigers. For further information check out this page.